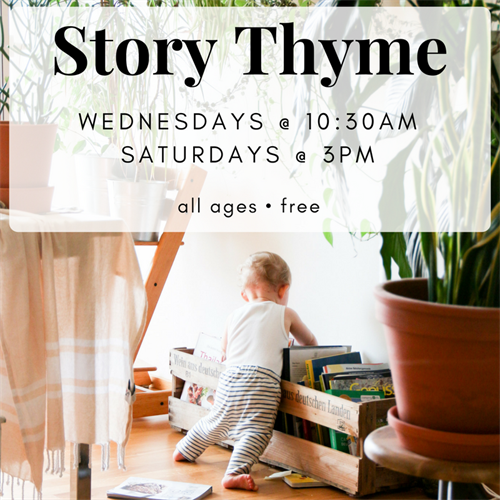 We love stories about food, so our Story Thyme will be all about the fun stuff that happens with food and in the kitchen. Perfect for all ages. This event will be held every Wednesday at 10:30am and every Saturday at 3pm. Free.